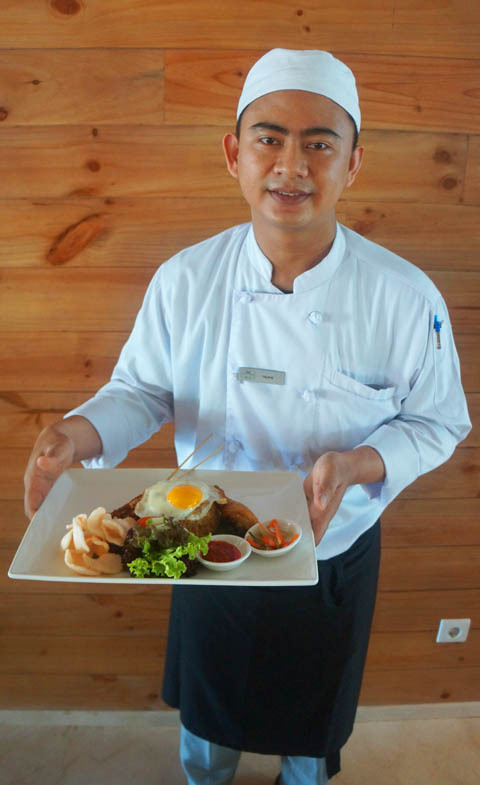 Thetraveljunkie.org – The other day, I went to lunch at Seminyak Kitchen – worth to visit. 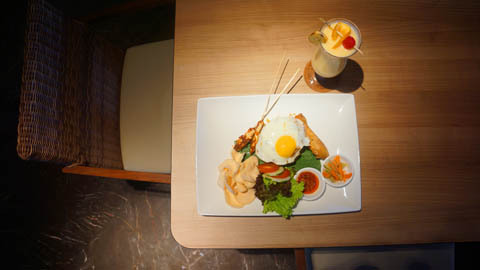 It’s located at Courtyard by Marriott Bali Seminyak. We arrived at 2pm. I’ve read so many positive reviews about this place. 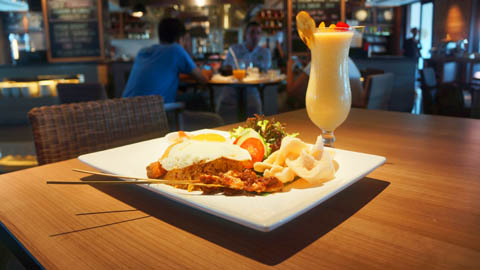 I ordered Nasi Goreng with fried egg, chicken satay, fried chicken, kroepoek and pickled vegetables. The principle ingredients to flavour the rice simply consist of shallot, chilli and garlic. 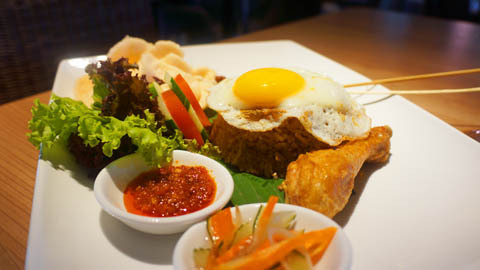 To me, a Nasi Goreng without a fried egg is a like a night without you (stars). I was satisfied. It tasted fantastic! 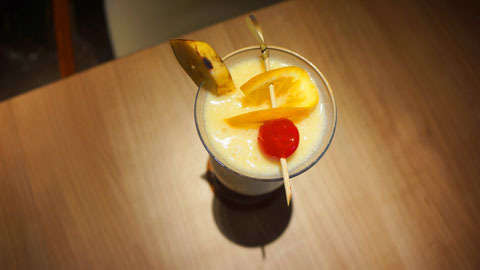 And, this is my Mango Honey – mango, papaya, banana, honey blend with yoghurt and soy milk. 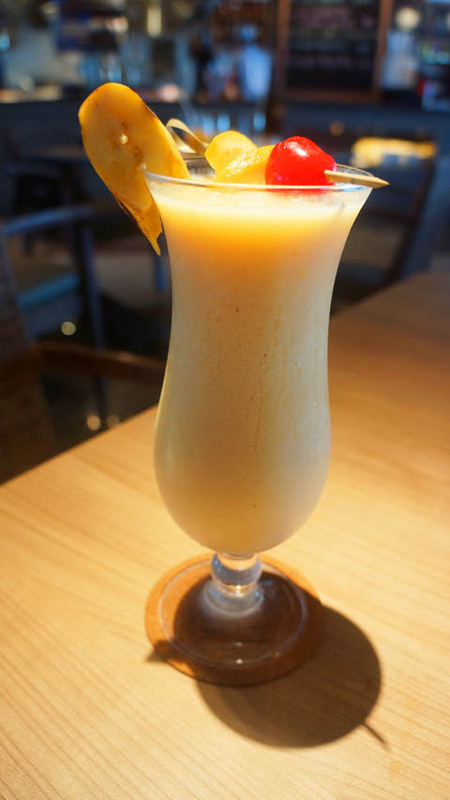 Eeeerrr… I’m in love with Mango Honey! The waitstaff were friendly. Overall, fantastic. Selamat Makan! 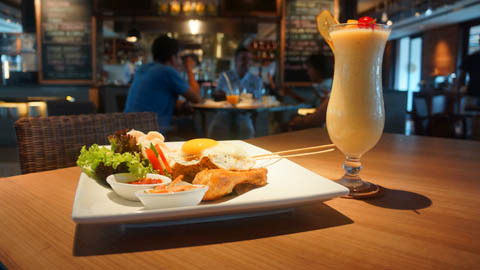 Stay tuned for my adventures in rediscover Seminyak.